Hiya guys! How are you surviving the snow? The roads here are pretty terrible and I am dreading having to drive to home after work. I can feel the anxiety rising already, eek! Let's not think about that, instead let's indulge together in polish. You want to know what's better than polish? Polish on sale! Today I am sharing a swatch of Black Opal from My World Sparkles Lacquers and a look at this months Pamper Gem (mani-bomb). Black Opal from My World Sparkles Lacquers is available for purchase for only $5.00! The entire shop is having a huge sale to make room for new collections and have marked down a bunch of polishes to $5.00. It's the perfect chance to have yourself a haul! Black Opal can be described as a black jelly with lots of opalescent glitters. Definitely has that galaxy kind of vibe and of course all the squishiness that a cute jelly should. The formula is on the sheer side since this does apply like a jelly, but it ends up building up nicely on its own. So much glitter that it does make the consistency a bit thick, but it's still a manageable and easy application. Because of the glitters though the finish is on the gritty side. Doubling up on the topcoat will smooth out all the glitters for a nice finish. Shown here is two coats and sealed with double the topcoat. The Pamper Gem for January is a soothing lavender scent. The flower buds and soothing lavender essential oils are combined with deep conditioning to help you relax and soften hands and feet. As you guys know I have been really sick since November and it's little things like treating myself to my weekly mani-bomb that lifts my spirits. The lavender scent was perfect for really getting me in a relaxed state of mind. I hope you guys don't find this gross, but I honestly left the residue in the cup after I was done for a few hours so I could keep smelling the lavender. Like I said, it was just very very smoothing. Pamper Gems are really inexpensive retailing for $1.50 each, definitely grabbing myself a few more. As I mentioned before, My World Sparkles Lacquers is having a huge sale in her shop to make room for new collections. This is the perfect time to grab a little something for yourself, a lot of polishes have been marked down to $5.00. Including the polish I swatched today, Black Opal. I so love polishes like this, and it looks so good on your nails!!! Thank you for the great review! I am currently working on a new website with a bunch of awesome features so after this sale is finished there will be a new look to enjoy! Omg I did the same thing with the pamper gem bowl! Hahaha left it next to me while I did nail stuff because it smelt so good! That polish looks great on you! Wow, that polish is gorgeous!! Your photos are beautiful too! I am falling in love with this brand!! Beautiful! ! What a beautiful swatch congrats love! I love those little hexes! 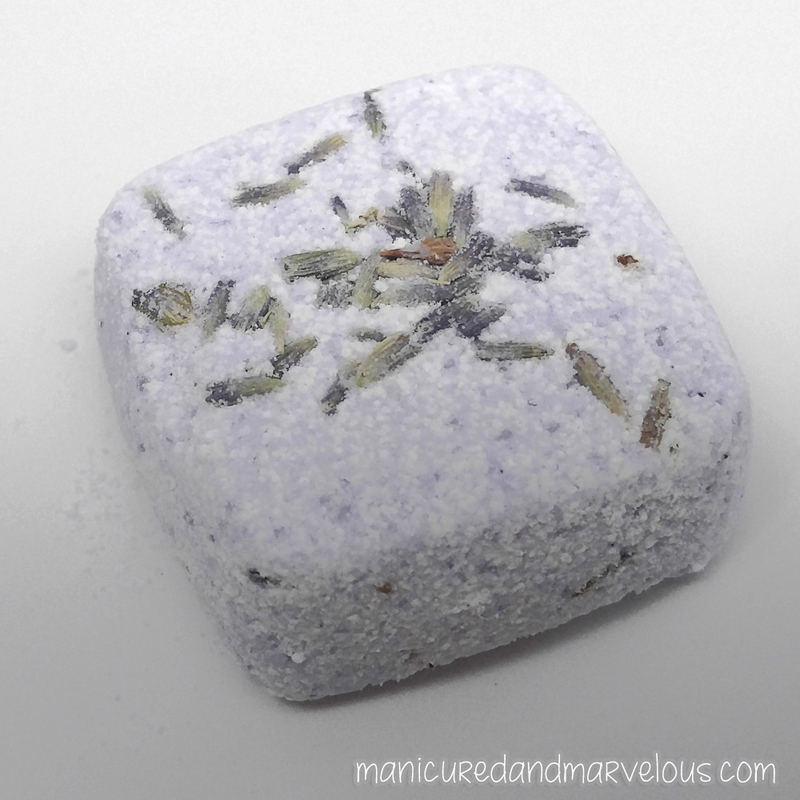 I love the scent of lavendar and I find it extremely relaxing! Really pretty polish! I love how smooth you were able to get it. Pamper Gems is such a fun name for the product! And I can't believe how smooth the glitter looks with double the topcoat <3. So sorry to hear that Nicole if you like the Pamper Gems can be unwrapped and put in a small container and you can enjoy the scent for a very long time. BLack Opal is okay, but nothing too original. I've got a few in my stash that are really similar.